FURY OF FIRESTORM #7 Preview! The Fury of Firestorm: The Nuclear Men #7 goes on sale tomorrow. If you can’t wait that long, check out the three page preview over on DC Comics right now! Click here to check it out! This issue is written by Joe Harris & Ethan Van Sciver, with art by Ethan Van Sciver! This is Joe’s first issue co-writing and the first time Ethan has drawn the interiors! It’s also the beginning of a new storyline! What a great time to try the book if you haven’t already, or to convince a friend to give it a try! Can’t wait for tomorrow! Below is one of the three pages in the preview (click to enlarge). Be sure to visit DC Comics to see all three preview pages! Don’t forget, pick up your copy of The Fury of Firestorm: The Nuclear Men #7 tomorrow! 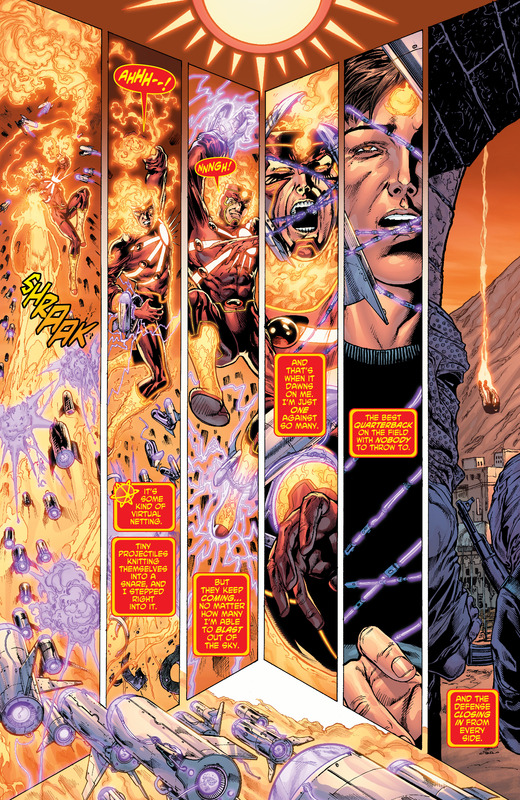 Posted in: Ethan Van Sciver, Firestorm #09: New 52 v1 (Firestorm Protocols), Firestorm comic vol. IV, Joe Harris.